Don’t miss the Kari Lynch Band just before Shenandoah at Ribfest on Saturday night! Kari and her band have opened shows for many great artists, including The Band Perry, Frankie Ballard, Little Big Town, Big & Rich, Thomas Rhett, Montgomery Gentry, and, most recently Alabama. They are excited to take the stage and perform before Shenandoah at Ribfest. We had Kari and Ryder in our studios to play some music and talk about the bands adventures and aspirations. You can hear more on iTunes or Soundcloud and keep up with the band on Facebook at karilynchmusic. 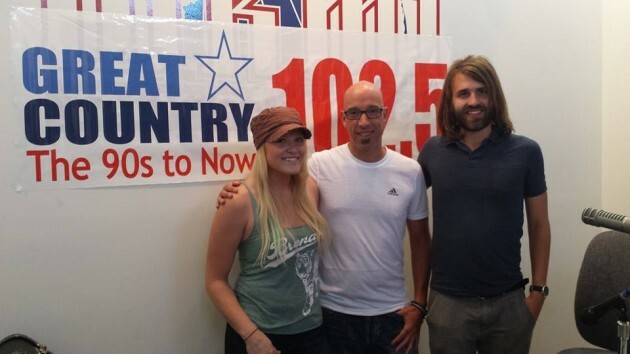 See them on stage Saturday night at Ribfest.